Welcome to AJ’s Window Cleaning. What do we offer? 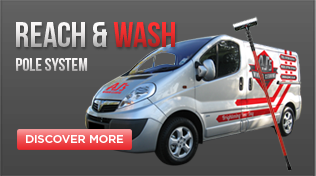 A regular and reliable service to both Commercial and Domestic using the Reach and Wash Pure Water System, covering a 25 mile radius around St Austell. We have been established since 2006 and provide a wide range of services. We are fully in sured and work carried out is done following the latest health and safety legislations having safe access up to 50ft. For a fast and free quotation please do not hesitate to contact us. We can usually give you a fast and sufficient quote over the phone. However, please feel free to use our online estimate calculator. We would mention that this is just an estimate and prices may vary. We take this opportunity in thanking you for visiting our website and if you have any queries please do not hesitate to contact us. Most of our new business comes from personal recommendation from our many satisfied customers. Why not recommend us to your friends? 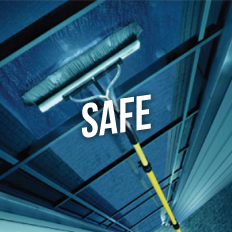 The Reach and Wash System is the safest way to clean windows from the ground without the use of ladders due to Health and Safety Regulations. 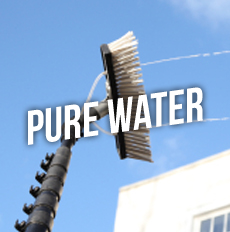 With the use of pure water we clean your windows, frames and sills leaving them with a spot free finish. Even with those “hard to reach windows” we can make them “easy to reach” with this pole system, whether it is above a conservatory, garage or just generally hard to get at. 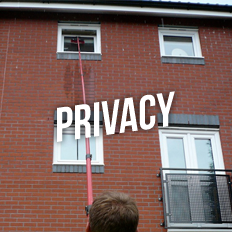 Without the use of ladders, privacy is retained to the customer and the risk of damage to the property is less likely.No chemical or detergents are used within this system, which means the windows generally stay cleaner for longer as they dry smear free. 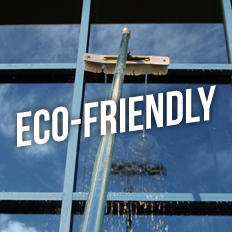 It is completely eco – friendly. Giving you a regular service to suit your needs. We tend to work on a 4 weekly cycle; however you have the option to have them done every 1 – 8 weeks, depending on your circumstances. We recommend the conservatory roofs are cleaned once every 12 weeks. This ensures they remain clean and free from mould. 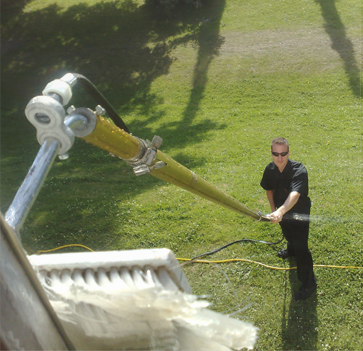 Generally cleaned once every 6 – 12 months, restoring your UPVC to its original colour. 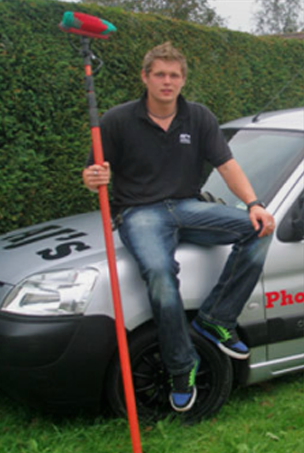 We also offer the service of clearing out the inside of your gutters as well as any blockages in your down pipes, using a pressure washer in order to clean all the guttering where the brush cannot always get to. Once again this is used with a pressure washer ensuring we take off all the mould and dirt from your patios and driveways. We guarantee they will always be restored to its natural colour. 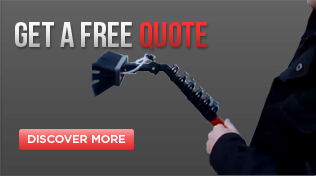 Would you like a quote? Simply complete the form below and I will be happy to quote on any job big or small! REMEMBER to quote your house number and street name! •	To be informed – We must make available this privacy notice with the emphasis on transparency over how we process your data. •	Access – You are entitled to find out what details we may hold about you and why. •	Rectification – We are obliged to correct or update your details. •	Erasure – This is also known as the right to be forgotten. •	Restrict processing – You have the right to ‘block’ or suppress the processing by us of your personal data. •	Data portability – You have the right to obtain and reuse your personal data that you have provided to us. •	Object – You have the right to object to us processing your data in relation to direct marketing and or profiling. •	Rights in relation to automated decision making and profiling – We do not use automatic decision making or processing. 3. 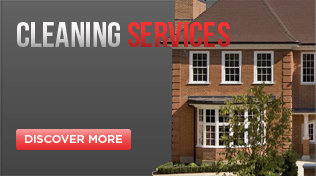 Purpose of processing – To obtain accurate contact information and address details to carry out the services offered by AJ’s Window Cleaning and services agreed with customers as part of any written or verbal agreement. 5. People with access to personal data – The business owners and the van managers. All employees are contractually bound to keep personal data secure and will be subject to disciplinary action as set out in their contracts of employment. 6. Data security – Access to your personal information is limited to the management team at AJ’s Window Cleaning and information is stored in secure locations either in locked cabinets or in password protected documents. 7. The retention period for data – as long as the services are required by the customers. The addresses of customers may be retained for completeness of the financial data, however names and contact details will not be retained. The HMRC guidance for retaining financial data is 7 years. 8. Withdrawal of consent – Customers have the right to withdraw consent at any time however the consequences of not providing the current information requested is that AJ’s Window Cleaning will not be able to carry out the services requested by the customer. 9. Complaints – You have the right to complain about the processing of your personal data. Please contact us using the details provided. If you are still unsatisfied, you have the right to complain to the Information Commissioners Office. If you would like to discuss this further or would like to make a request in relation to your personal information we hold on file then please contact Nikita Cosway at finance@ajswc.co.uk.